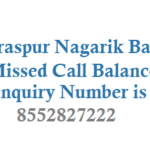 The Varachha Co-operative Bank Ltd.,Surat has started Missed Call Service where customers can get their bank account balance information by a missed call. 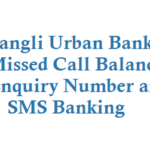 Give a missed call to 0261-4008080 and you will get an sms about your account balance. 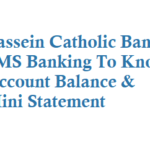 The advantage with the facility is that there is no charge for the calls and the customer will receive the information for all operative accounts with a single misssed call. 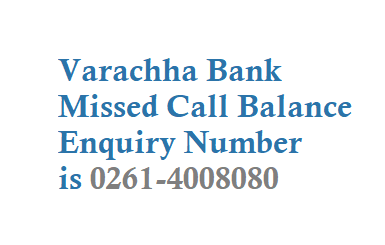 You can use Missed Call Service only when you have registered for the service, to activate you need to visit the Varachha Bank branch and update yout mobile number. 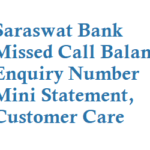 Using SMS banking now you can know Varachha Bank balance information, Block Lost ATM/ Debit Card, Reset or Debit Card and IMPS MMID. 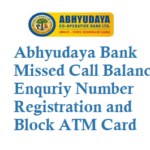 All you need to do is from your registered mobile number you need to send sms in below format. 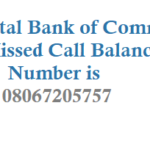 Send sms as VARA LOST A/C No. Send sms as – VARA REPIN A/C No.  Format: VARA MMID A/C No.